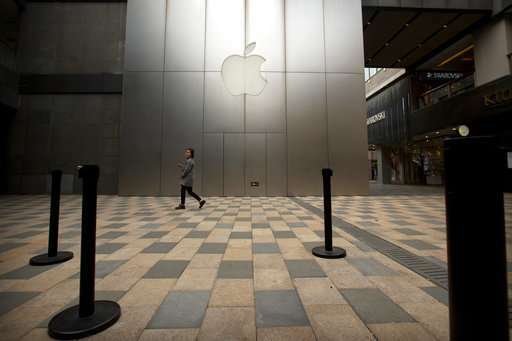 Apple's tax break on its overseas profits is turning into a $102 billion boon for shareholders. Apple also will spend $100 billion more buying back its stock, a move that will enrich shareholders by helping to drive up the company's stock price. It also reduces the number of shares trading, which increases earnings per share—a key yardstick for measuring a company's outlay. Tuesday's announcement marks the first time that Apple has provided a glimpse into how much its shareholders will benefit from a sweeping overhaul of the U.S. tax code championed by President Donald Trump and approved by Congress late last year. No company benefited more from the tax break on overseas cash than Apple, which had accumulated more than $250 billion outside the U.S. during the past decade, thanks to the immense popularity of the iPhone and other products. Apple CEO Tim Cook had made it clear all that money would be left overseas if the tax on foreign profits wasn't cut. Now, the Cupertino, California, company is bringing most of the money home in a move that will generate a $38 billion tax bill for Apple and a windfall for shareholders. The company plans to spend $10 billion opening and expanding data centers in the U.S. and another $20 billion on other long-term projects, but it's unclear how much of that Apple would have spent anyway. It's also difficult to quantify how much of the repatriated money is being funneled to shareholders. Apple already has been raising its dividend and spending on buybacks every year since 2012; it's not known how much of the new increase would have happened regardless of the tax break. But investors have been counting on Apple to give shareholders much of the money coming in from overseas, especially after the company said it intended to eventually have little or no excess cash, after accounting for outstanding debt. That pledge implies Apple has $163 billion to spend, in addition to the roughly $60 billion in cash flow that now accumulates annually from its ongoing sales. Wall Street's belief that Apple will pass along most of its cash to shareholders has helped bolster its stock, even though its latest iPhones haven't spurred as much sales growth as most investors hoped. The new phones include the $1,000 iPhone X, which Apple has touted as the best since the first iPhone was introduced in 2007. IPhone sales once again disappointed Wall Street in Apple's latest quarter. The company shipped 52.2 million iPhones during the first three months of the year, up by just 3 percent from 2017. Boosted by the expensive iPhone X, Apple fetched an average of $728 per iPhone in this year's quarter, an 11 percent gain from last year's average of $655. 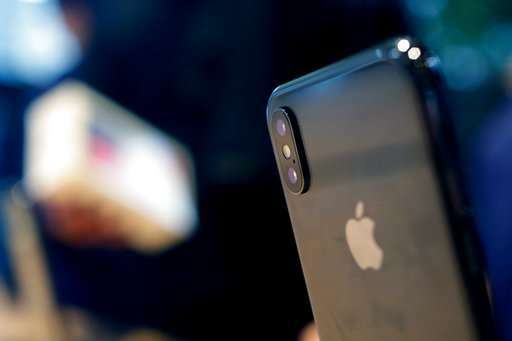 In recent weeks, Apple's stock has backed off from its all-time high of $183.50 because of concerns about iPhone X demand, though expectations of a dividend increase and stock buyback have offset the decline. The stock is currently trading at nearly $170, giving the company a value of about $840 billion. Apple could become the first U.S. company to ever be valued at $1 trillion. RBC analyst Amit Daryanani believes it will take Apple four to five years to deplete its cash reserves, assuming the company doesn't make a huge acquisition. There has been recurring speculation that Apple might try to buy Netflix, a deal that would probably cost at least $150 billion and would break the mold for a company that has shunned major acquisitions through its history.